Fishing on the Gulf Coast of Mississippi is a hobby that everyone can enjoy. The Gulf Coast offers a large number of charter and land fishing services. Going out with friends and family on a fishing trip is a great experience. The waters of the Gulf of Mexico and the Mississippi lakes are filled with many varieties of aquatic animals. Fishing is for the patient, but once the fish pulls that slack, the adrenaline rush begins. Imagine trying to fight the strength of the fist versus you and your pole, not knowing what’s on the other end, just trying your hardest to pull the fish out of the water. You never know what kind of adventure awaits you going fishing. It is the perfect gift for anyone especially out-of-town guests. Anyone can have a blast fishing. The whole family can enjoy a day on the water by booking a day on one of the charter fishing companies located around the Gulf Coast. All it takes is some online research and a deposit and you will be on your way to having a fantastic time. Pulling up redfish with the family is a great way to spend the day. All charter boats require you to wear a life jacket, so it is a very safe activity. Most charter companies will provide you with equipment so if you are a first-time fisherman, you can learn on some of the most up-to-date equipment in the sport. Charter fishing is an amazing experience, but do not take my word for it; book a day for yourself. The first time you go charter fishing you will be hooked. Land fishing is just as good an experience as any. Nothing helps you connect with nature like fishing with friends. No matter how you go about it, fishing on the Mississippi Gulf Coast is an amazing opportunity that all should experience and enjoy. If you are interested in finding out more about locating someone to host your fishing adventure, be sure to do some online searching to find the perfect experience. 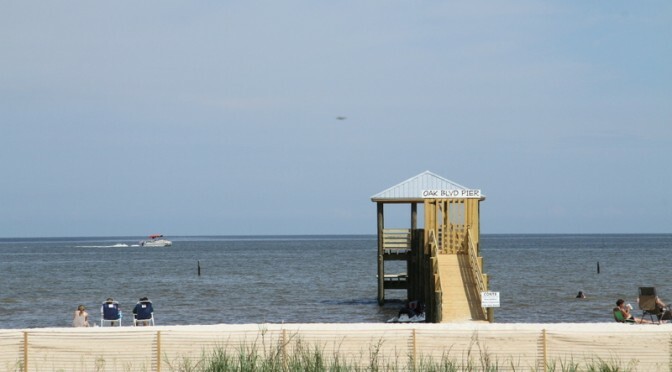 Fishing on the Mississippi Gulf Coast is an activity everyone needs to try before they leave, and there are plenty friendly and professional places that will be sure to cater to your experience level. Wade fishing is an easy activity to get you introduced to fishing and fun for veteran fisherman as well! Enjoy Mississippi Fishing–the Best in the World!